The global appeal of a loose, cool knit caftan; the chic look of extra-wide, contrasting trim. 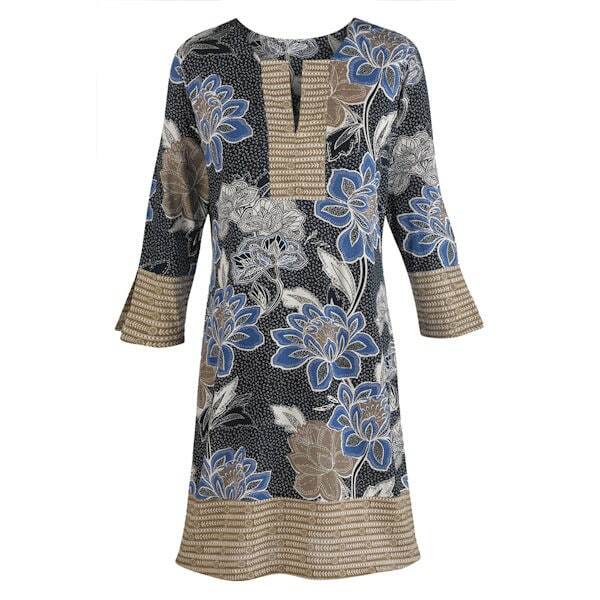 This slit-neckline and sides tunic has an oversized floral pattern; comfy and soft fabric is machine-washable 100% rayon knit. Imported. S(6-8), M(10-12), L(14-16), XL(18), 1X(18W-20W), 2X(22W-24W), 3X(26W); 35"L.